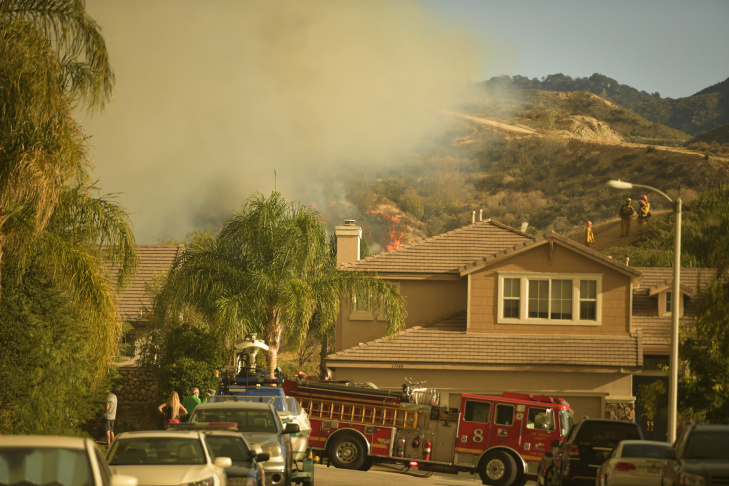 The Sand Fire smolders near homes off Golden Valley Rd Sunday afternoon. A Los Angeles County Fire helicopter drops water on an active flame front burning over Placerita Canyon Rd Sunday afternoon. The Sand Fire burns intensely off Placerita Canyon Rd Sunday afternoon. The Sand Fire burns intensely off Placerita Canyon Rd Sunday afternoon as a media vehicle races away from flames. 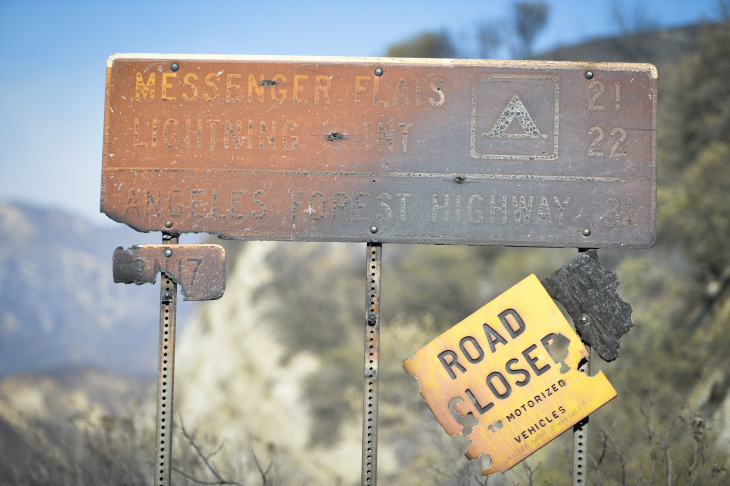 Trees smolder after the Sand Fire burned through the Angeles National Forest off Little Tujunga Canyon Rd Sunday. Forest Road 3N17 after the Sand Fire burned through overnight on Saturday. 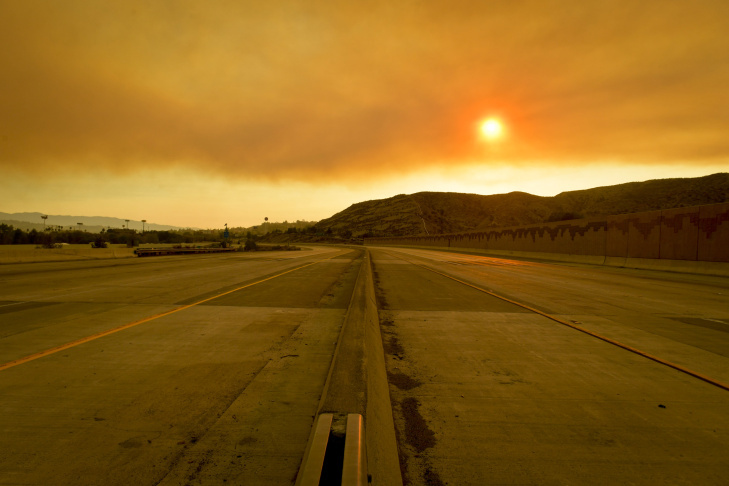 The 14 Freeway in the Antelope Valley was closed to vehicles Sunday afternoon as the Sand Fire burned near the freeway. The wildfire that ripped through drought-desiccated brush and threatening communities in the Santa Clarita Valley has burned about 52 square miles in just three days, destroying homes and forcing thousands to evacuate, but the fire slowed down Monday and many of those evacuations were set to end as of Monday evening. Fire officials said the Sand Fire in Los Angeles County had already burned 18 homes on Saturday. This story is no longer being updated. 6:51 p.m. Are fires getting worse? 6:37 p.m. Most Sand Fire evacuations end at 7 p.m.
Update 6:51 p.m. Are fires getting worse? Wildfires burned more land in the United States in 2015 than ever before — nearly 1,400 square miles in California alone. Individual fires are getting bigger. 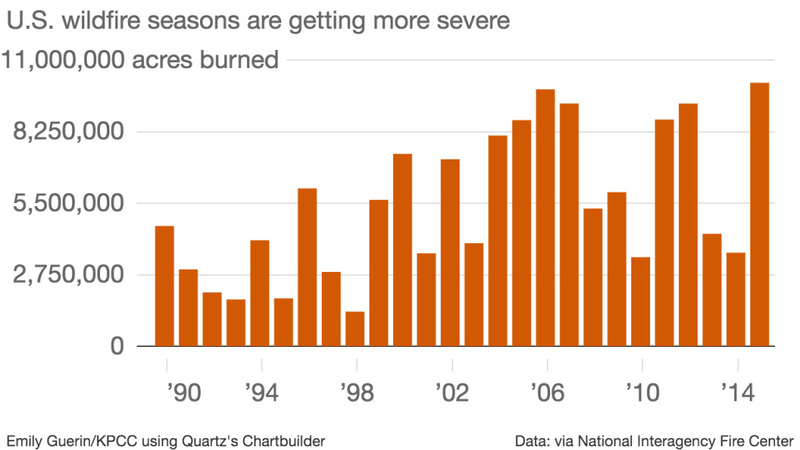 This chart shows how many acres have burned over the last couple decades. Scientists think climate change is driving the increase. Here in Southern California, high temperatures are exacerbating the drought by robbing the air, soil and plants of even more moisture. 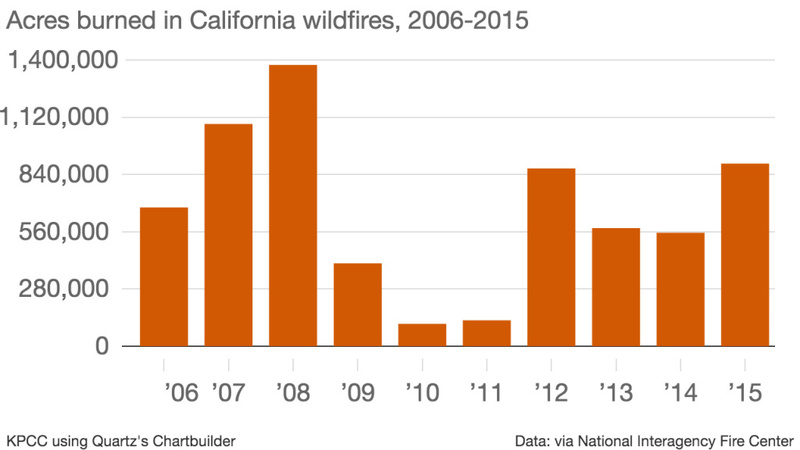 This chart shows how many acres have burned in California over the last decade. “The fires are getting bigger quicker, they’re creating more heat and tend to be more intense and more difficult to put out,” said Justin Correll, a firefighter and spokesman for the U.S. Forest Service. The hillsides outside Santa Clarita where the Sand Fire was raging are covered in chaparral and oak that is dry and brittle after five years of drought. Many of the areas burning now haven’t burned in 30 years — so there’s plenty of fuel. And there’s another surprising reason why the Sand Fire is so bad: rain. This winter’s weak El Niño meant lots of grass grew in the canyons and foothills, but there wasn’t enough rainfall to alter the course of the drought. Now that grass has been baked in 100 degree heat and is dead. That means there’s a lot of dry tinder out there, ready to ignite. Those areas are set to remain closed. The areas reopening are only admitting residents, with everyone needing to provide identification in order to return home. The fire slowed down Monday, with winds dying down and allowing firefighters to get more of a handle on the fire, according to fire officials at an evening press conference. With many people expected to return home, the Forest Service is asking those who don't need to return immediately to avoid longer delays by waiting until later in the evening. Large animals are also being allowed to return to the areas that are being reopened. Earlier in the day, Los Angeles County declared a local emergency due to the Sand Fire. It's set to be ratified on Tuesday. Lyn Field says he and his wife left their home on Sand Canyon Road just in the nick of time. “When we left, we barely escaped. Smoke, I left my wallet there… It was kind of a disaster, it was all of a sudden, like that," Field said. They grabbed their clothes and their daughter’s baby blanket. But Field, who’s a musician, had to leave his drum set behind. He’s worried, but he says he has insurance — and faith. “I can’t stress on it, I just gotta let God deal with it," Field said. He and his wife headed straight to Hart High School, where the Red Cross is running an evacuation center. It’s one of three in the area. “They gave us blankets, they laid my wife down because she doesn’t feel good, they had refreshments, it was like family. 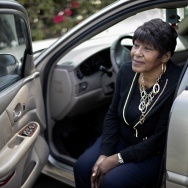 It was like going home again," Field said. Field says he’s anxious to get back to his own home — and his drum set. The fire may also have claimed a human victim. A body was found in a burned car outside a home in Santa Clarita on Saturday. That death is under investigation, but sheriff's officials say there's no evidence it was a crime, according to the Associated Press. 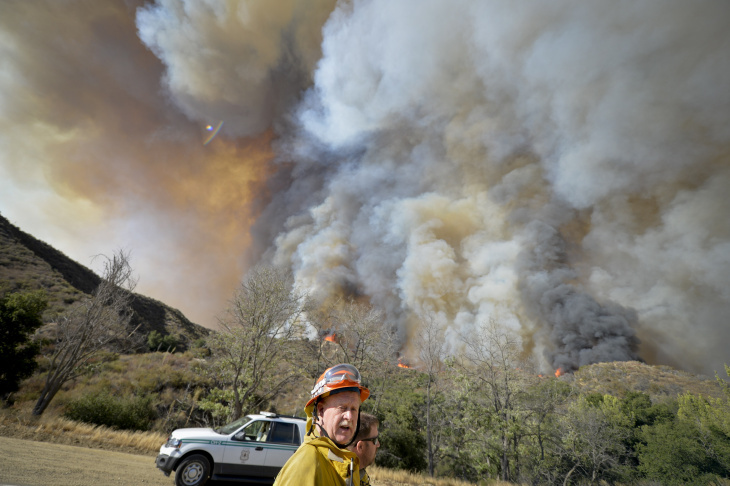 Earlier in the day, fire officials warned any residents on Running Horse Lane on the north side of Placerita Canyon who remained after evacuation orders to immediately leave. "The significant amount of fuels on the fire are 30 years old, so they are decadent, and that's contributed to the rapid fire spread. They've created explosive conditions and that's what you saw yesterday, the fire moving really fast," said Incident Commander Michael Wakoski. In total, about 10,300 structures were considered threatened by the Sand Fire and under evacuation orders, according to the L.A. County Fire Department and Justin Correll of the U.S. Forest Service. Ralph Cosenza was among those evacuated. 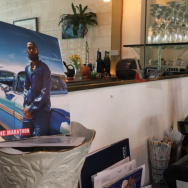 He was given the green light to return to his Placerita Canyon home on Sunday afternoon. “I mean just a change of clothes would be cool, and to see if the house is still standing,” Cosenza told KPCC. But just as he arrived at a checkpoint, the wind shifted, and officials reinstated the evacuation order. Cosenza and others were turned away. Even more communities were evacuated over the weekend as the fire spread. Firefighters saved at least 2,000 homes that were in the direct line of fire over the past three days, Deputy Fire Chief John Tripp said during a morning press conference. "We fought all day to try to contain that and protect those structures. We had a lot of people having to run out and a lot of us having to run in," Tripp said. He said that in addition to getting people back into their homes, authorities are making it a priority to ensure that residents have electricity and safe roads when they get there. 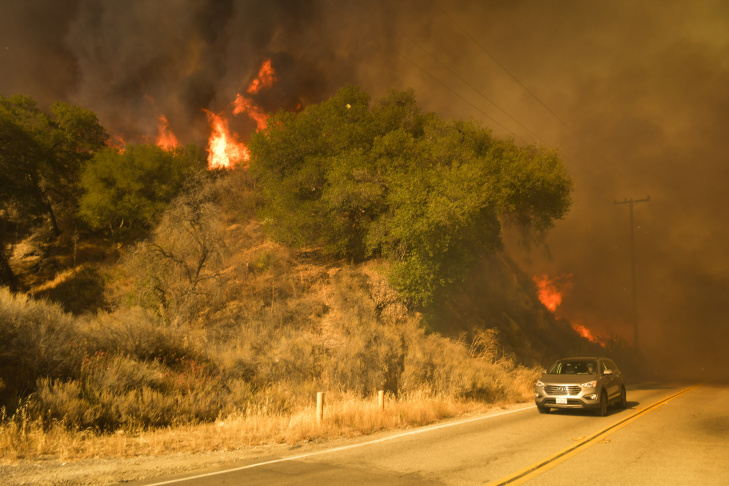 But some firefighters expressed frustration over residents that didn't heed warnings to leave, saying additional structures may have been lost because crews had to stop to aid with evacuations, Los Angeles County Fire Chief Daryl Osby said. "It's extremely important that when we ask for evacuations that citizens get their animals and their loved ones out promptly," Osby said. Osby said damage assessment teams are going out this morning to see if any structures were lost overnight. 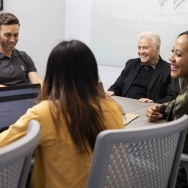 "We are in a condition right now unlike any other that we've seen in our modern-day careers," Osby said. He implored citizens to listen to instructions from firefighters and law enforcement. 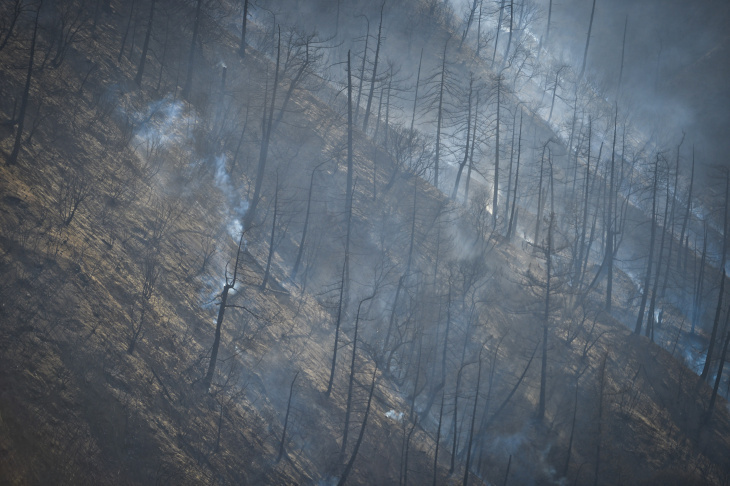 "In this drought over 90 percent of wildland fires are caused by humans," Osby said. "People in these areas need to be extremely cautious — if they see something dial 911 — but I cannot emphasize enough for them to partner with the fire department, partner with law enforcement, that when we say evacuate, evacuate, because we're really concerned with public safety and lives." Fire officials have also expressed concern over the operation of drones in the vicinity of the fire. 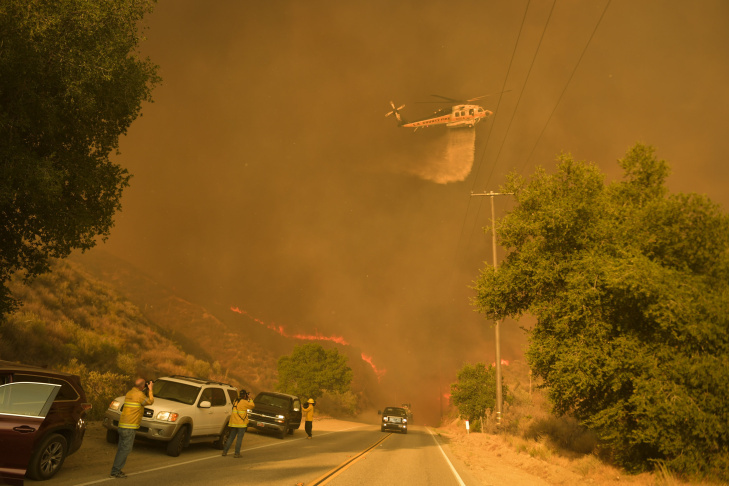 "If you fly, we can't, and it does have an impact on our aerial assault," Angeles National Forest Fire Chief Robert Garcia said. He said that drones interfered in the firefighting airspace on Sunday. Here's what to know when you're asked to evacuate. Metro’s Antelope Valley Line 270 to L.A.
Several smoke advisories are in effect around Southern California. The Eastern Kern Air Pollution District warned Monday of smoke impacting Edwards Air Force Base, Rosamond and Willow Springs, with some effects also in the communities of Boron, California City, Johannesburg, Mojave, Neenach, North Edwards, Randsburg and Saltdale. The South Coast Air Quality Management District has also issued a smoke advisory, warning of unhealthy air in parts of the Santa Clarita Valley and the San Gabriel Mountains through at least Monday night at midnight. 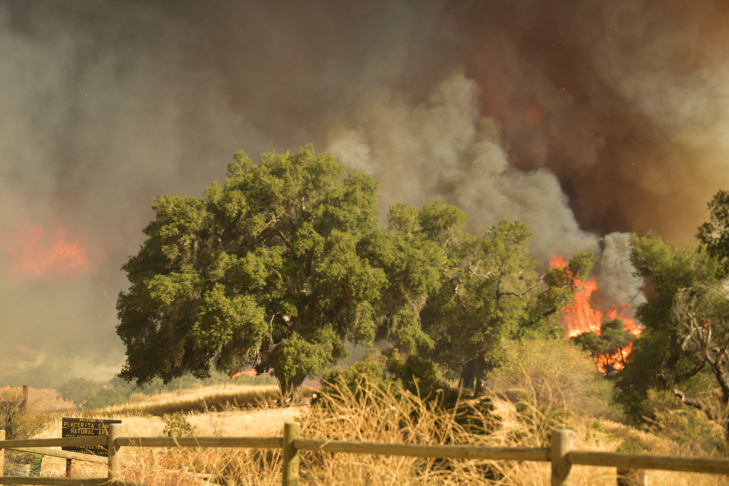 Keep your windows closed and use air conditioning to avoid health effects from the wildfire. Andrea Polidori with the AQMD said children, the elderly, and those with heart or lung conditions are most at risk. “That basically would trigger unhealthy air quality level associated with potential respiratory problems for the most sensitive part of the population,” Polidori said. But air quality officials warned that even otherwise healthy individuals can experience adverse health effects if they participate in strenuous activities outside in ground-level smoke. Firefighters said the smoke has also affected visibility, making it difficult to coordinate aerial water drops on the fire.